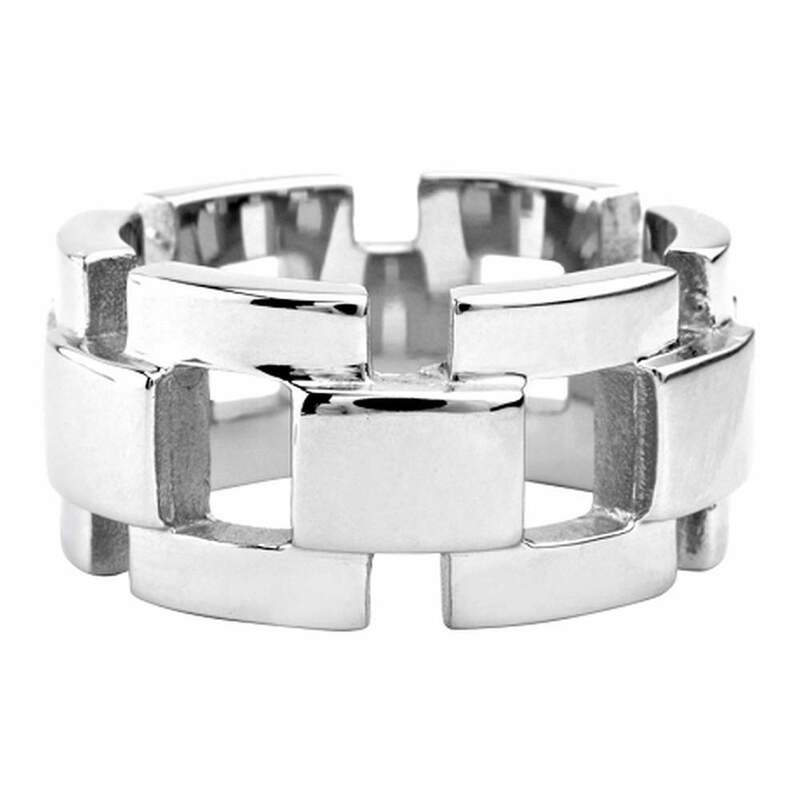 Chunky and contemporary, this 12mm stainless steel biker ring has a solid "curb chain" design that is made from polished rectangular shapes of stainless steel. 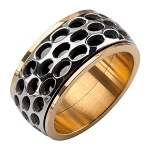 Men love the modern look of this classic chain style ring! 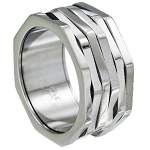 Rings sizes are larger than your normal size. All 3 rings i purchased where a size larger. 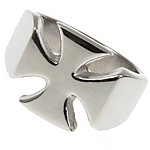 Thank you this ring is nice and looks nice on. It was received within the timeframe given. 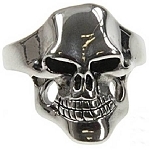 The only thing we would say about this ring is that there are some sharp edges on the ring however they are not sharp enough to hurt you or mark you purely when you take it off and smooth your fingers around the inside the corners just feel a little sharp. However very happy with it looks great.